Boston-based 3D printer manufacturer Markforged has launched its Additive Manufacturing University program – a new scheme of workshops, learning exercises, on-site trianing and resources. The program has the goal of accelerating the adoption of 3D printing in industry, closing the knowledge gap between additive design and operations for manufacturers, allowing businesses to understand the potential benefits of this technology. With the successful implementation of 3D printing, Markforged hopes companies will boost their efficiency, enhance profitability, and gain a faster time to market for their products. “Markforged Additive Manufacturing University is really about inspiring industry-wide innovation,” said Andrew de Geofroy, Markforged VP of application engineering. 3D printing expert at Markforged Additive Manufacturing University. Image via Markforged. Markforged is offering different educational methods through its Additive Manufacturing University. One way includes providing instructor-led courses as part of its Customer Certification Program. The courses will teach organizations how to identify 3D printing applications; to design for additive manufacturing (DfAM); manage end-to-end print processes; and scale additive manufacturing across the business, replacing legacy manufacturing processes. 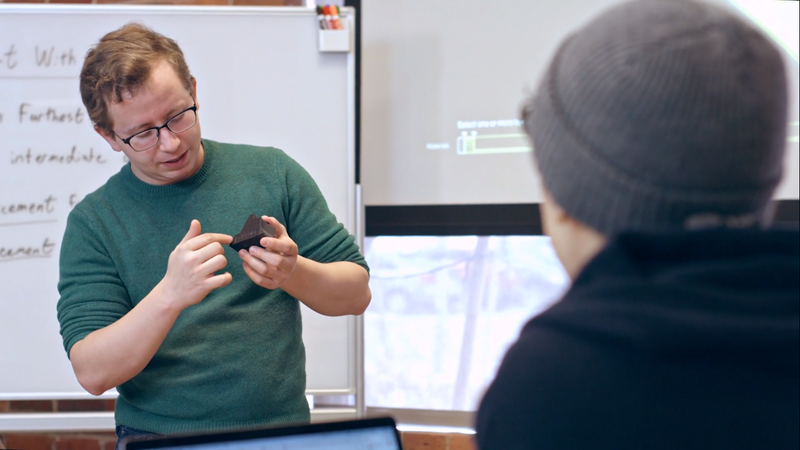 For individual participants, courses are offered throughout the calendar year and can be accessed onsite at Markforged, through single and multi-day workshops at its Boston headquarter. Companies can also choose to have the certification program delivered to their facility, with custom-tailored courses designed for larger teams. The price of the course varies depending on the topic of the workshop at the headquarters, and companies can request an invite to gain a specific quote.